Gluten Free Baking Classes - Book Now! 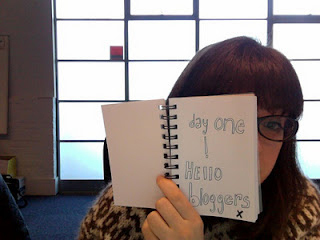 My name is Raquel and this is my blog about my homecooking. I love cooking, i love being in the kitchen, i love my pan and my backing trays - my jam jars and my collection of different types of flour. I am a home caterer from London and I have a very busy job! My idea with this blog is not only to show you what I cook in my kitchen, but also, I'm looking into giving you all ideas to cook easy recipes and hopefully be able to share my love of cooking with you. Food is essencial in our lives... but it can be turned into a pleasure! And we are all very busy, lets relax... with our tummy's full of happy foods! There's nothing like the feeling of having prepared a meal that you enjoy eating! I am worried about people's food habits these days; or is it because we are crazy counting calories intakes, or is it because we are "trying to be healthy" or is it because we are on the latest diet. I also enjoy doing my food shopping and will be giving you some tips on how you can create a cheap, healthy and yummy meal! What this space! 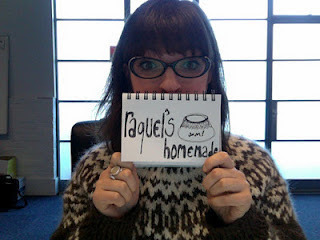 Right now I have my sister working on the look of "Raquel's Homemade" so bear with us! It's a work in progress.